As a pioneer in the urban scene, Trevor started his broadcasting career at then pirate station Kiss FM going onto A&R artists such as D’Angelo, signing Lynden David Hall at cooltempo/EMI records. In 1996, Trevor moved to BBC Radio 1 to present the first ever national RNB show ‘The Rhythm Nation’. Trevor continued to present the Saturday slot 7-9pm for a further 17 years. 1998, Trevor joined MTV to host their flagship R&B show ‘The Lick’ , the show aired for 11 years on MTV base making it the longest running show on the channel. Trevor went onto host the first ever MTV Africa Awards from Abuja, Nigeria. 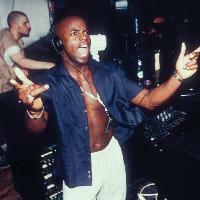 He has released 10 compilation albums INCredible sound of Trevor Nelson, The Soul Nation, “Lick” compilations and The Trevor Nelson Collection . His most recent compilation album is Trevor Nelson Club Classics. Picking up where his Lick and The Trevor Nelson Collections compilations left off, he shares his favorite R&B, Soul and Rap classics from over the decades. Trevor has won numerous plaudits including 4 MOBOS, an MBE for his work with the millennium volunteers. In 2010 he was awarded with the special gold lifetime achievement award for his services to broadcasting, at the Sony Radio Academy Awards. He was also nominated as a Hackney ambassador to coincide with the 2012 Olympics. 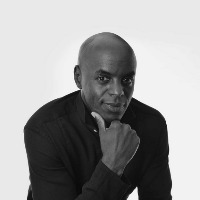 Trevor currently broadcasts across 2 radio networks: Weekends on 1Xtra Saturday-Sunday 4pm-7pm and on Radio 2 Trevor Nelson’s Rhythm Nation every Saturday 8pm-10pm.